Our programme is a mix of competitions, practical activities and talks by members and visiting lecturers. Our aims are to assist in developing photographic skills through the regular and friendly exchange of ideas. Membership is open to anyone interested in or practising photography, either conventional or digital. Visitors to The Mold Camera Club are always very welcome and are admitted free of charge for the first two meetings. For further details concerning current membership fees and entitlements, click here. Club rules can be viewed here. Whatever your photographic interest and experience, we feel confident that we can accommodate you. If you have any questions for the committee members, please go to the contacts section of the site. We hope you enjoy this web site. If you have any comments or suggestions, feel free to e-mail the webmaster. Please Note: All images on this site are the copyright property of Mold Camera Club members and are protected under International copyright laws. No copying, saving to digital file, reproduction or manipulation is permitted unless with express written authority of the authors. For enquiries, please email us. "36 satisfactory exposures on a roll mean a photographer is not trying anything new." OK, not exactly up to date, but the principal still counts. 4. Check all around your viewfinder. If an element doesn't add, it detracts. Have you ever wondered about the way sensor sizes are stated in digital camras? Take a look at Making (some) sense out of sensor sizes for an explanation. The Photographer's Ephemeris Not only does it tell you where and when the sun and moon will rise and set, but also the angle to the horizon and it can also be used to work out when the sun will disappear behind the hill (often much earlier than sunset) or when a particular point will fall in to shadow. It’s pretty amazing and free! And for those with i-phones it works on that too! DS Colour Labs - Fujifilm’s Printing Service offers great quality at about 67p for 12x8” or £1.45 for 12x18” prints. NEW. Fuji/DSC now offer Fuji Pearl, Satin and Canvas prints. They also do 30”x20” and 24”x30” prints, photo books etc. Check it out! You'll find a warm welcome at the Mold Camera Club which meets each Monday during winter months, from September to May. Meetings start at 7.15 (tea & biscuits) for 7.30pm and generally finish around 9.45pm. During the summer months we meet up at one of the local pubs for a drink and a natter. 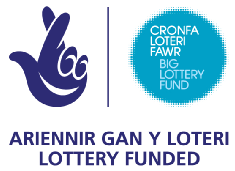 I am very pleased to announce that Mold Camera Club has been successful in its application for a lottery grant in support of the club and has been awarded £4,900 by the Big Lottery Fund Wales. The award will allow us to replace our ageing equipment by buying new laptop, projector and print display stand as well as adding an HD video camera allowing us to present members’ and visiting speakers’ images to a high standard. This means that we can continue to develop the club providing a valuable resource in the local community for those wishing to learn new, or hone existing, photographic skills in a friendly club environment. Mold Camera Club is open to anyone with an interest in photography to come and join our friendly club. We cater for all abilities: running beginners sessions for total novices all the way through to members who have won awards in major international competitions and exhibitions. Kevin Hirst, Chairman. July 2016.